Home Unlabelled African low-cost carrier Fastjet to start flying on 29 November 2012...tickets sell started. African low-cost carrier Fastjet to start flying on 29 November 2012...tickets sell started. It’s finally revealed that new African low-cost carrier Fastjet will launch operations on 29 November 2012. The company has started selling tickets on its inaugural flight with tickets from 32,000 TSh ($20) one-way, excluding taxes & charges. Tickets can be purchased through travel agents and fastjet's own sales desk, call centre and offices. Online booking is available through Fastjet's new web site www.fastjet.com using credit/debit cards, as well as by mobile phone. The airline’s IATA code is “FN”. Well I have searched Reliance Travels UK but could not find any airline with this name. I guess they have not started to sell their tickets online. Anyways, I would advise them to start selling their tickets on internet and enjoy sales in Europe. 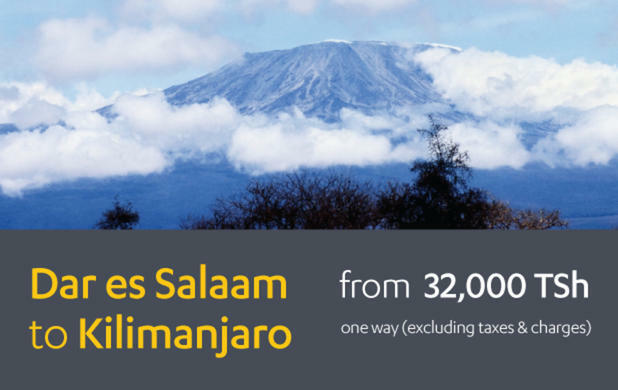 They need to work really hard so many companies are already offering cheap flights to Dar es Salaam and many destinations in Africa.